You can shout at the top of your lungs about new offices being opened at various corners of the globe. However, unless your business website has the addresses and contact details of the same – your claims would have no credibility whatsoever. Publish posts, media releases and launch email marketing campaigns, to generate awareness among prospective overseas clients. Like it or not, there are zillions of mobile app development companies in the world, and each of them is a potential rival of yours. If someone asks for an Android or iPhone app quote – and you take your own sweet time (let’s say, a full week) to provide it, don’t expect people to stick around. At Teknowledge Software, we have this policy of providing detailed quotes within 24 hours (maximum) of queries. Even the richest individuals in the world do not want to have any uncertainty about their expenses. If you are not giving free quotes and/or are charging exorbitant app development fees, you can pretty well kiss your chances of business success goodbye. There is no dearth of companies which will be able to provide same-quality services at a more competitive rate, without trying to force clients into making heavy upfront payments. You need to take care of customers’ pockets too! As your business grows decentralized, social media channels like Facebook and Twitter gain in importance as vital elements of online marketing. Optimize your posts on FB in a way that, people from every country find them relevant (you can go for multiple posts – targeted to viewers from different localities). Don’t make the folly of turning your social media profile into a general news channel. On Twitter, follow the ‘#’ trends in each country, and find out whether you can incorporate them in your tweets. Don’t forget the importance of pictures and videos either. At the risk of sounding just a bit pompous, we will reiterate here that Teks started developing apps even before Steve Jobs had launched the first line of iPhones (Android, of course, was not present either). More recently, Amber Blumanis (the COO of Teks Mobile Australia) and myself drew up blueprints of how to establish a strong brand presence for Teknowledge Down Under. You need to be similarly proactive in your business strategy-making, to stay a step ahead of the game, always. When you are an entrepreneur, being a ‘laggard’ or a ‘follower’ never works. Just because your iOS or Android app development company is at the top of the heap in your native country – you cannot expect similar success being replicated overnight in foreign markets. It must have taken months (in most cases, even a year or two!) to establish yourself as the market leader domestically – and in the international market, the competition is likely to be several notches higher. If your marketing campaigns are well-devised, your apps are flawless and engaging, and you offer great after-sales services, a positive buzz about your company will gradually grow. Do not feel frustrated if your app agency does not generate much revenue during the first couple of months or so. Stay patient, do the right things – and success will arrive in due course. A mistake that many corporate agencies make, when they venture out of their domestic boundaries for the first time. Let’s explain this with an example: We have started full-fledged operations as a mobile app company in Australia – and there are literally hundreds of rival companies we need to compete with. If we simply announce that we will complete projects in half the time taken by other companies, a healthy pool of interested clients will get in touch with us. Then, as we fail to live up to the tall promise, adverse word-of-mouth publicity would follow, and our chances of making a mark in Australia would be gone for good. That’s precisely why you should always stay away from making false claims and impossible promises to customers. They capture people’s attention easily – but can be the recipe for disaster pretty soon after! Mobile apps that work great in one country can fall flat on their face in another (of course, stuff like Candy Crush Saga, or WhatsApp, or Angry Birds are exceptions). People from different origins understandably have varying tastes and mobile functionality requirements. If you are an India-based company like us, you cannot hope for a Hindu devotional app to become hugely popular in the American or British markets. Take time out to study the nature of applications that find maximum favor in the nations you are planning to take your business to – and mold your app-making strategies accordingly. Our myVUWSA app – developed for the students of Victoria University (Wellington, NZ) – is a classic case in point in this regard. Remember, a high quality of service has brought you in a position where you can think of targeting foreign markets. If you slack off now (or become over-confident, which is not exactly a rarity), the apps you churn out will start garnering negative feedback, and ultimately fail. Monitor the quality standards being followed at every stage of app development processes. Oh, and don’t forget to let your overseas customers know that yours is a company that follows the best practices in the mobile industry. A good first impression can be the battle half won! Once again, let’s illustrate this with our company. 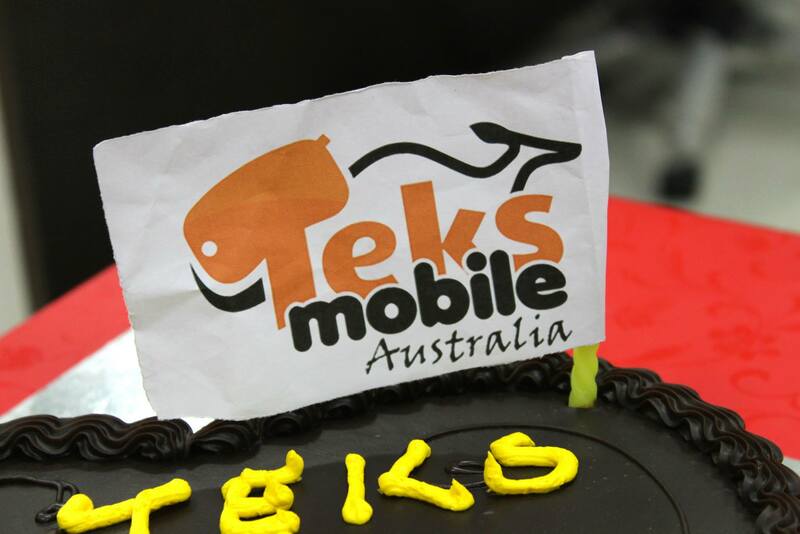 Teks already has more than a handful of Aussie clients – but if we are to become one of the most prominent players over there, winning the confidence of every prospective buyer is an absolute must. A client from, say, Brisbane or Sydney, naturally would feel (at least initially!) that it is ‘safer’ to delegate a project to a company of Australian origin than to us. We will be tackling this by ensuring that each customer can keep track of their projects that are being handled by us. We will share wireframes, mockups, and, of course app prototypes with them. Meetings will be scheduled at regular intervals, to collect the clients’ opinions and ideas. If you are transparent and ethical in all your operations, the trust-factor would grow – and your company will no longer be considered as an ‘outsider’. You have an efficient, hardworking team in India, another in Australia, and a third one in the United States. Since each of the mobile app developer team is dedicated and knowledgeable enough – there is no need for collaborations, right? You cannot make a bigger mistake! No matter how good your staff (at your home country office(s) and foreign office(s)) are, there has to be a single-point of leadership guiding every employee. People from one office need to be aware of what projects another office is working on – and they have to be prepared for working in tandem on the same apps too. A company is a single entity, it can have branches – but without proper, real-time communication among the latter, confusions can easily crop up. From the revenue perspective, iOS is the leading mobile platform, while from the market share angle, Android stands head and shoulders above all others. If you select any of these two as the only platform to develop for, you would basically be cutting your potential profitability figures in half. You can follow our cue and start specializing in cross-platform mobile application development (ideally, you should not ignore Blackberry either). Maximize the usability and compatibility features of your apps. That’s the only way in which you can make more money from this business! There are cultural differences across geographical borders. What looks ‘oh-so-cool’ to a person in Country A can seem gimmicky for someone in Country B. This, in turn, brings the issue of customized UI/UX designing for each of your new apps to the fore. Study the graphics and other display features of existing apps in the same genre, and chalk up your own design plans accordingly (of course, do not just blatantly copy someone else’s designs!). Be it splash screens, display panels, or any other component of the user-interface (UI) – one size certainly does not fit users from different locations! Innovation is one of the most powerful tools in the hands of mobile app developers. Not all ‘new’ app concepts work – but you can learn something from them, and not repeat the same mistakes later. After opening a branch overseas, if you simply offer apps that most people over there already have – the interest about your company would soon die down. For a developer or a graphics designer, practically every idea can be transformed into apps – all that is required is the ability to think a bit ‘out-of-the-box.’ Your apps need to stand out from those being offered by others. Well, this is a grave mistake even when you are operating in a single city – and when it comes to operating on international shores, app testing becomes all the more important. All the dollars or pounds (or whatever might be the currency of the nation you open a branch at) spent on advertising and marketing campaigns would go to waste, if your apps have technical glitches. Apart from getting rid of your applications, the concerned users would badmouth them – and your efforts to repair the damage by releasing upgrades might be of little use. Before launching any new app overseas, test it on devices, in the cloud network, and across focus groups. The first version has to be absolutely glitch-free. To ensure long-term sustainability in the international markets, you need to actively conduct two-way communications with your foreign clientele (for feedback, recommendations, grievance redressal, etc.). Do not think that your task ends with creating apps and getting them approved at iTunes or Google Play Store. At the end of the day, its the appreciation of customers that makes a company tick – you need to keep that in mind at all times. So, that was that for this week’s AppBoard Tuesday. Our Australian chapter, under Amber, has started its operations – and we are being very careful in framing strategies for our soon-to-be clients Down Under. If any of our readers are also planning for an business expansion beyond their home countries, they would also find the above pointers useful. Nine weeks and eight editions of AppBoard Tuesday have gone by – it’s time you let us know what topics we should delve on next. If you have any specific queries about any of our earlier (or this) issue, feel free to contact us. ABT will be back next week…and till then…c’mon, you know what to do!